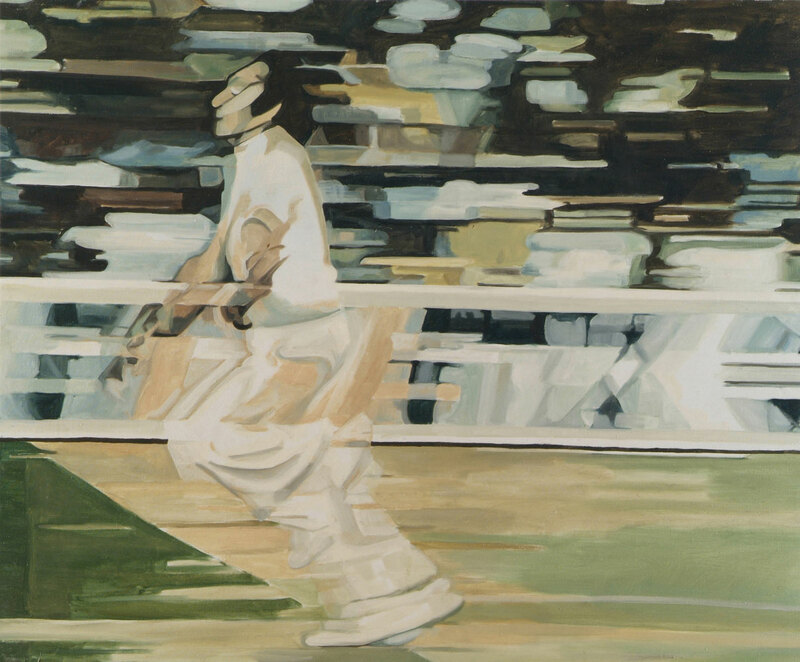 Rosemary was watching the Ashes on tv when the idea suddenly came to her to analyse the action of the fast bowlers who were creating such an outcry from the public. 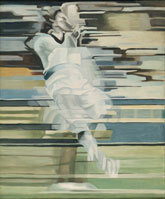 She worked her way into this concept step by step. 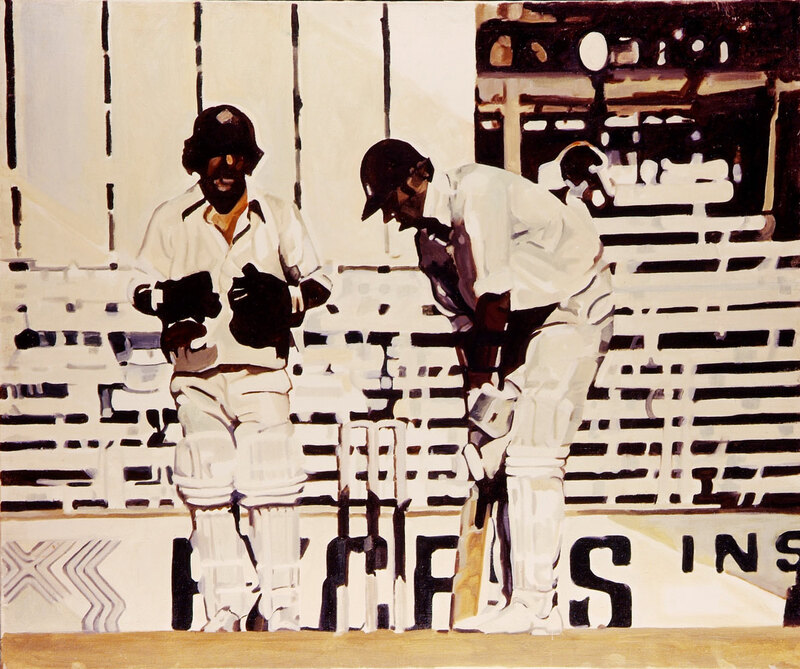 In the past artists typically portrayed cricketers on the village green, in a traditional calm English pastoral setting. 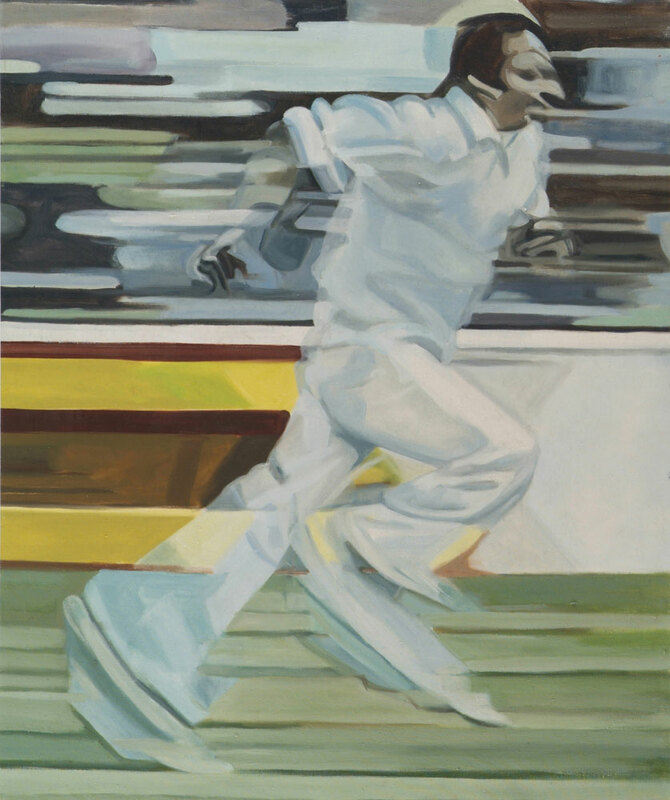 Rosemary bravely turned this convention on its head, producing large canvases (4’ by 3’), focusing on the players and highlighting their speed of movement. 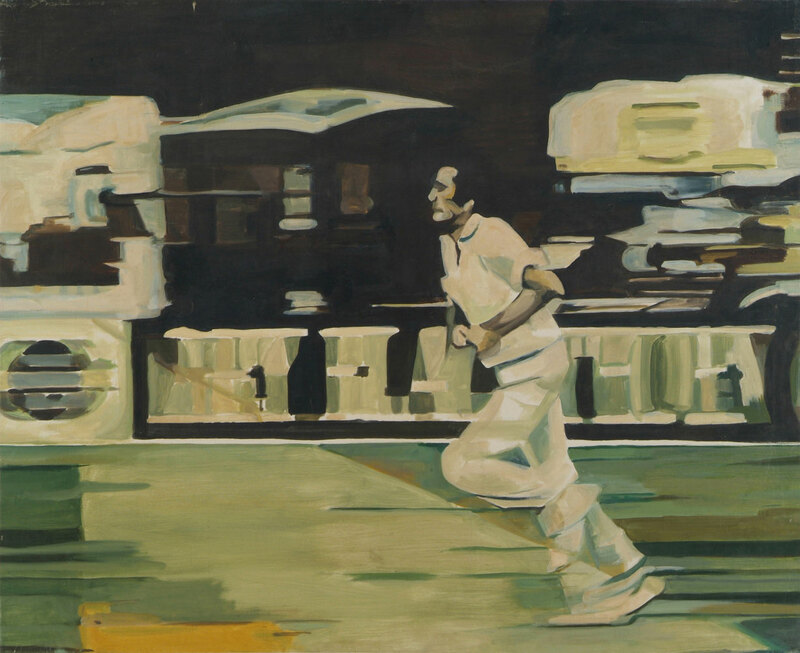 It was the Summer of 1975 and the public saw for the first time speeds of fast bowling by the Australians never seen before. 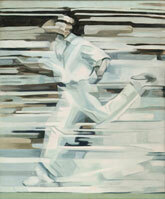 The menace and danger of these fast bowlers were palpable. 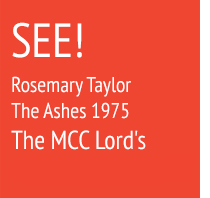 One must remember that up until this date, no protective clothing was required or worn, and Rosemary was fascinated by the muscular power, speed and risk of this new generation of cricket. 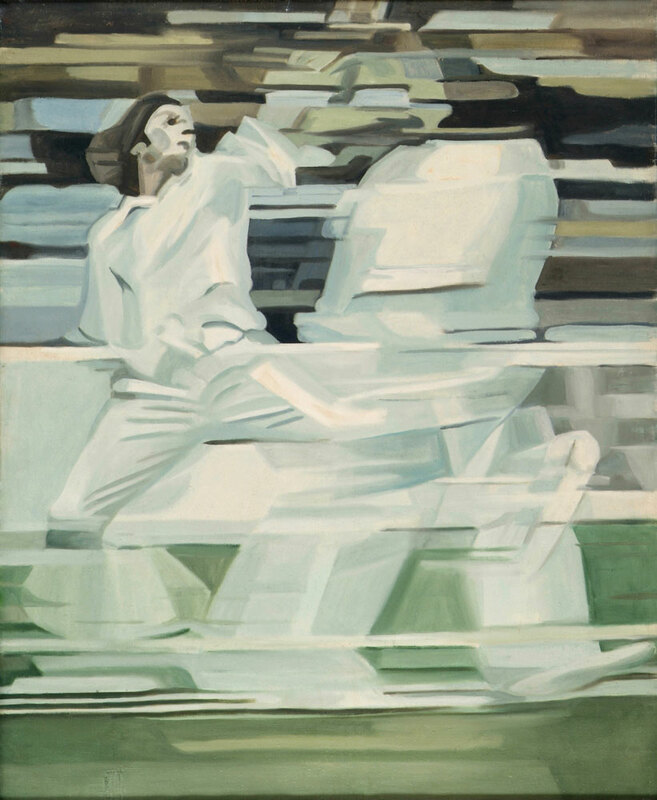 She began by studying static images, then moved on to slower motions and then on to faster and faster images – the moment when the bowler released the ball at a speed of 80 mph. 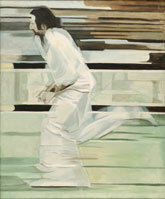 Her style gradually evolved, in a slow progression towards movement through the series. 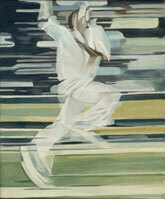 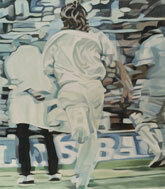 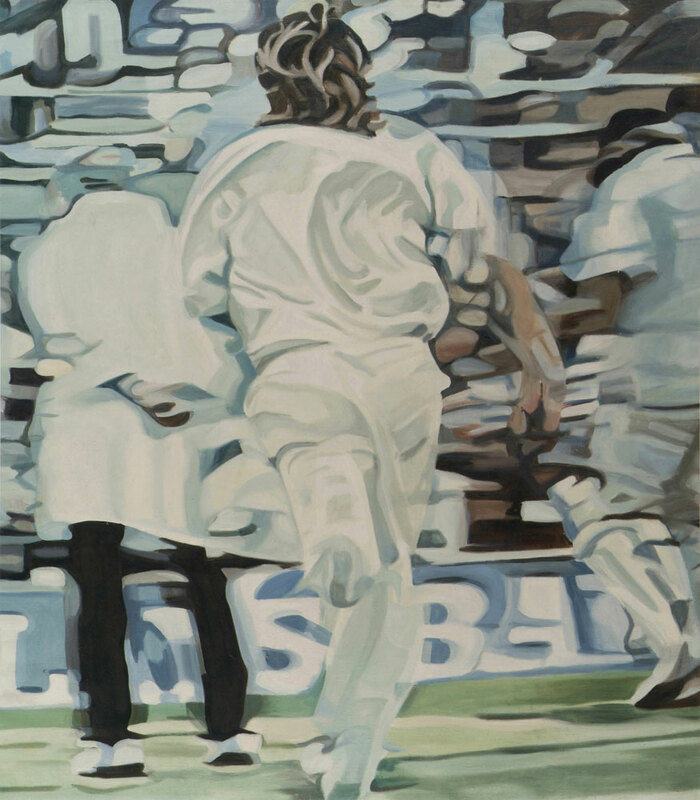 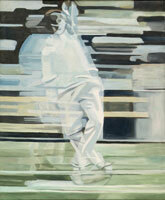 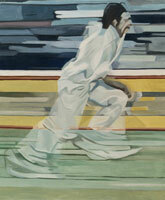 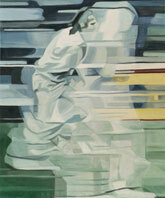 The first two cricket paintings in the series - though large in scale - were still fairly static. 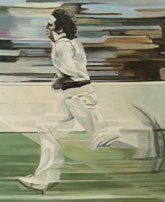 Excess is a still portrait featuring English captain batsman Tony Greig with Australian wicket keeper Rod Marsh. 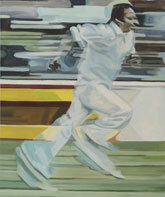 The second, Australian Honey, shows Walters and Greig moving slowly right past Dickie Bird. ‘Two of the fastest and most exciting of modern bowlers, perfectly captured,’ said John Bright-Holmes of two of Rosemary’s paintings. 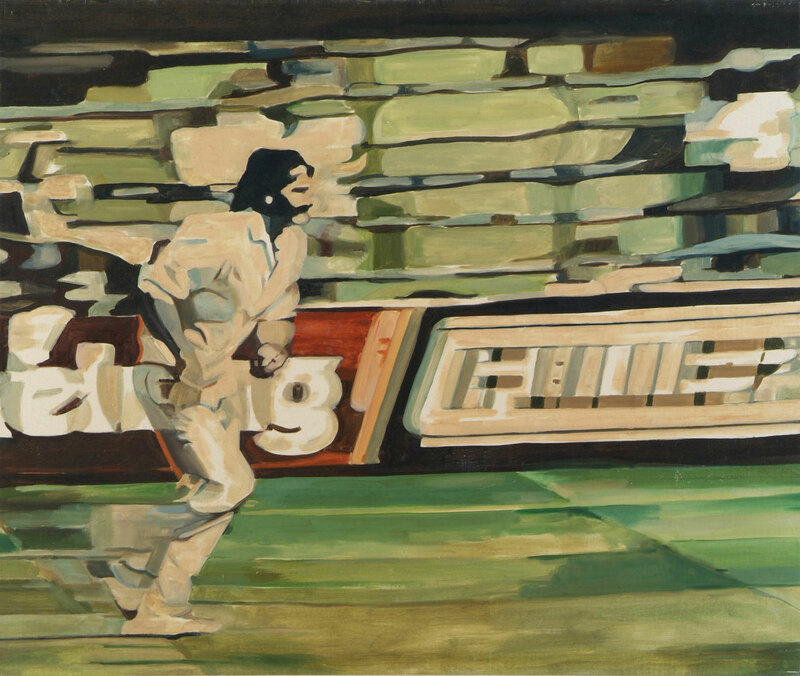 The Joy of Cricket. 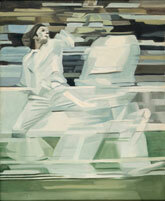 This distinctive technique is also beautifully demonstrated in the painting Lillee and Dickie Bird. 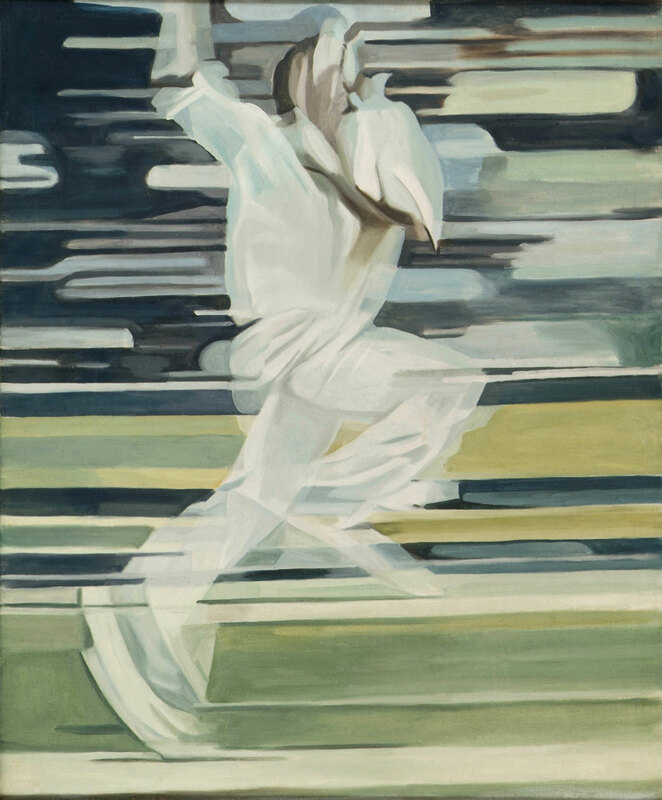 Lillee’s figure almost distintegrates with speed and power, superimposed upon the solid umpire figure of Dickie Bird, whose legs alone are recognisable as legs, while his upper torso is dissolved by Lillee’s body hurtling past. ‘Somewhere beside the thunderbolt there’s the unique Dickie Bird, the calm behind the storm’ commented Thames TV news presenter Chris Kelly (1977). 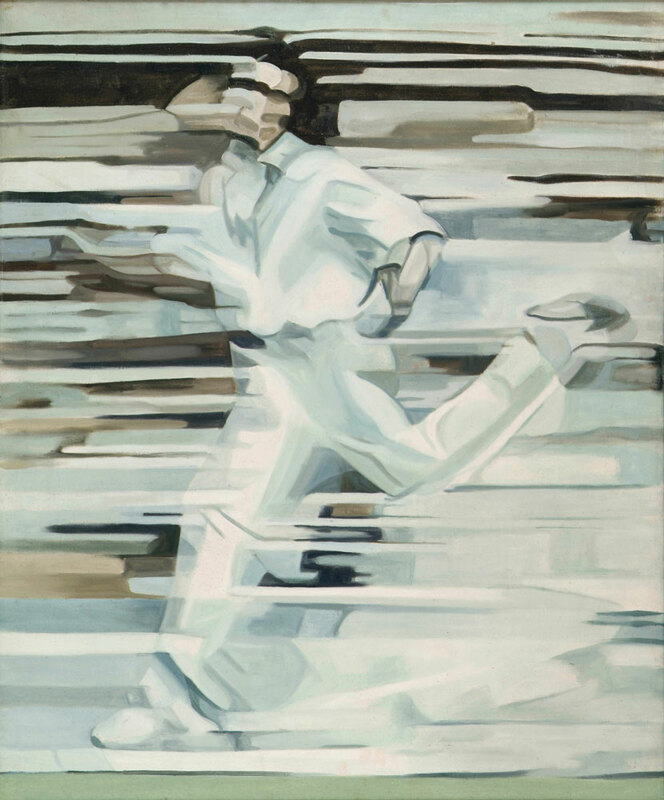 Seeing this painting reproduced in the Guardian Dickie Bird wrote asking Rosemary if she had a more recognisable portrait of him! 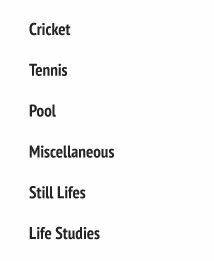 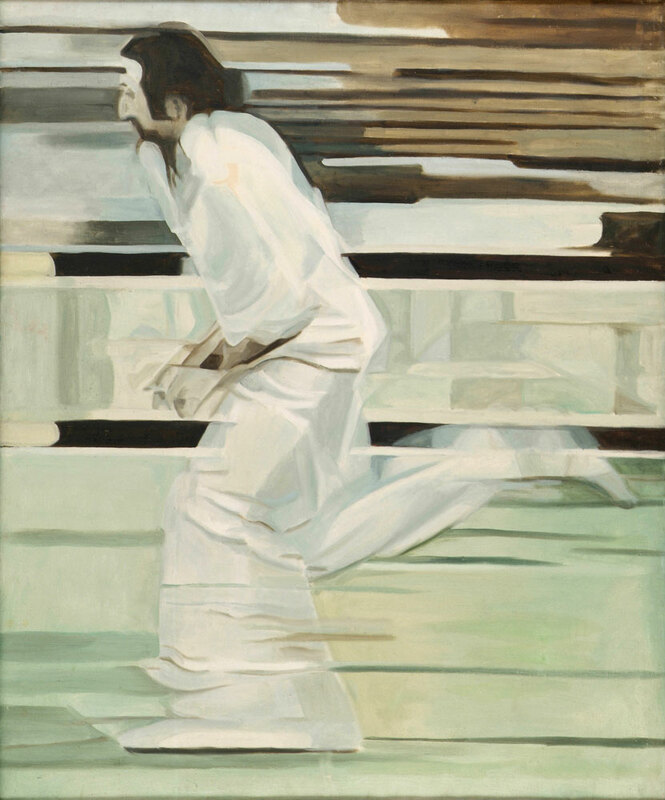 The Cricket Series was first shown in the Qantas Gallery in London’s Piccadilly in 1976, then at an exhibition of sports paintings organised by Charles Sprawson at leading art dealers Frost & Reid in Bristol in 1977. 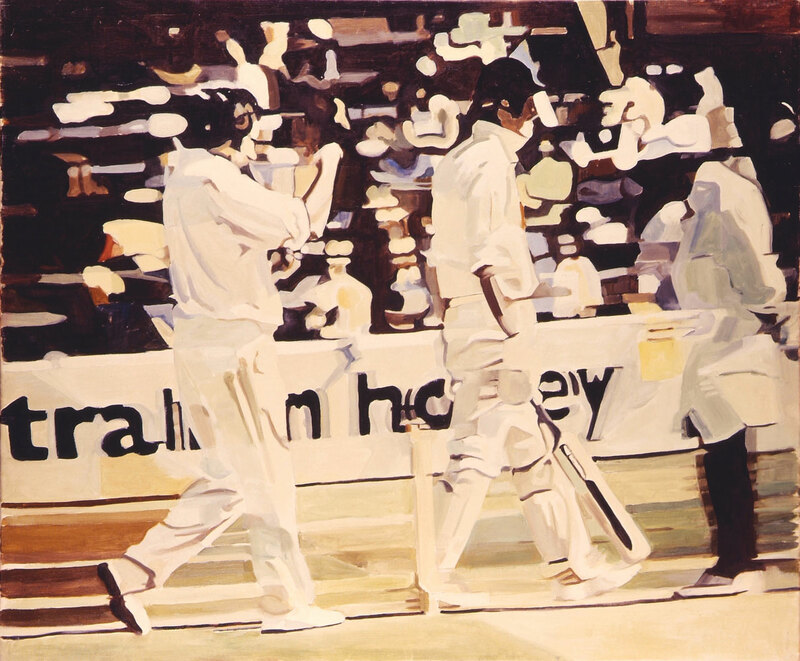 The cricket paintings were subsequently displayed at the Portal Gallery, the Royal Commonwealth Institute and finally at Lords Cricket ground. 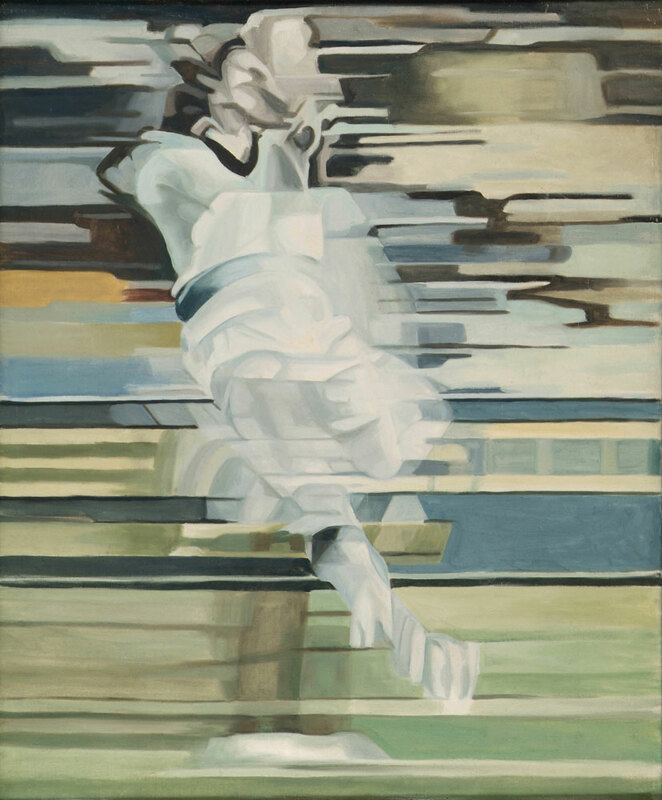 Though Rosemary never saw her paintings at the last exhibition, as in those days women were not permitted entry to the Long Gallery.